Monday evening December 4, 2017 sent a wave of shock through the Indian film industry as the day marked the sad demise of legendary actor Shashi Kapoor. The romantic screen icon of the 70s and early 80s who immortalised the line "Mere paas Maa hai", breathed his last at 5:20 pm at the Kokilaben Dhirubhai Ambani Hospital in Mumbai. He was 79. The last rites of the veteran actor were held at Santacruz Hindu crematorium on Tuesday noon. A number of eminent Bollywood celebrities, such as Amitabh Bachchan, Abhishek Bachchan, Saif Ali Khan, Sanjay Dutt, Lara Dutta, Naseeruddin Shah, Rakeysh Omprakash Mehra, along with Kapoor's family members Rishi Kapoor, Randhir Kapoor, Ranbir Kapoor attended the funeral to pay their last respects. It was not just commercial cinema that attracted this veteran, the institution of his profession also extended his greatness to theatre as well. Here are some of his most memorable films. The legend was honoured with a 3-gun salute in the presence of family and film fraternity members. 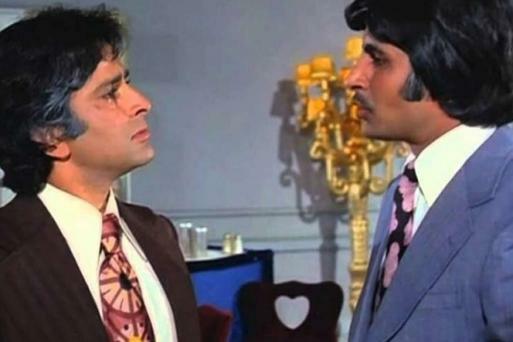 "With men like him around, I stood no chance at all," wrote Amitabh Bachchan recalling the life and times of legendary actor Shashi Kapoor in an emotional blogpost. Bollywood actor Aamir Khan penned down an emotional post remembering the thespian. Veteran actor Hema Malini, who has worked with Kapoor in films like Do Aur Do Paanch, Kranti, Trishul and Jaaneman among others, also expressed her grief over the loss. My dear friend & co star of many successful movies - Shashi Kapoor, is no more. He leaves behind many pleasant memories of the camaraderie we shared on the sets during our shooting schedules. RIP dear friend. I will surely miss you! Shabana Azmi, who has worked with Shashi Kapoor in films like Heera Aur Patthar, Yaadon Ki Zanjeer, Avtaar and In Custody, shared a photograph of the thespian on Twitter. PM Narendra Modi took to Twitter to mourn the death of the veteran actor and recalled his versatility in both films and theatre. Shah Rukh Khan, who is a close associate of the Kapoor clan, has arrived to pay his last respects. The body of the veteran actor has been taken to Santa Cruz Crematorium. Shashi Kapoor's nephew Randhir Kapoor, who was also present at the hospital last night, is here to bid adieu with a heavy heart. Amitabh Bachchan, who has worked with Shashi Kapoor in films like Silsila, Kaala Patthar, Kabhie Kabhie, Trishul and Deewar among others, arrives with his son Abhishek Bachchan. Both Ranbir Kapoor and Saif Ali Khan arrive at Shashi Kapoor's residence. Rishi Kapoor, who cancelled the shoot of his film Rajma Chawal, flew back to Mumbai last night to be with his family. Naseeruddin Shah and Ratna Shah Pathak arrive for the last rites. Sanjay Dutt arrived with Anil Kapoor amidst heavy rainfall. The last rites of the legendary actor are being held at Santacruz Hindu Crematorium and the who's who of Bollywood is expected to be with the Kapoor family today. 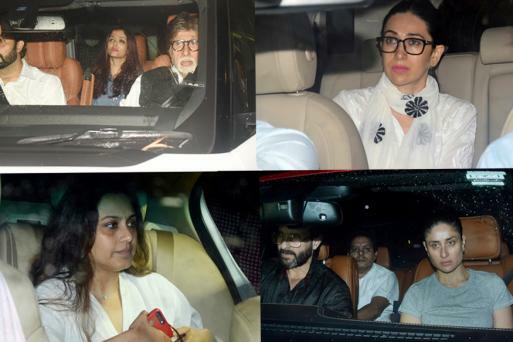 Several members of the film fraternity including Amitabh Bachchan, Abhishek Bachchan, Aishwarya Rai, Rani Mukerji and Kajol called on Kapoor's family to pay respects. The actor-producer took his last breath at 5.20 pm at the Kokilaben Dhirubhai Ambani Hospital in Mumbai. He is survived by three children - Kunal, Sanjana and Karan Kapoor. Best known for his work in films such as Deewar, Satyam ​Shivam Sundaram, Namak Halal, Kaala Pathar and Kabhie Kabhie, he had stayed away from the limelight in the last two decades. He had been suffering from ailments for the past few years. He had undergone a bypass surgery and was also hospitalized for a chest infection in 2014. 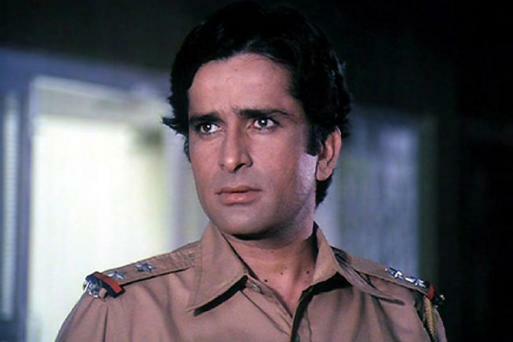 Veteran Bollywood actor Shashi Kapoor, the romantic screen icon of the 70s and early 80s who immortalised the line "Mere paas Maa hai", died on Monday after prolonged illness. He was 79. The actor had been suffering from ailments for the past few years. He had undergone a bypass surgery and was also hospitalised for a chest infection in 2014. Kapoor hit the spotlight at the age of four, acting in plays directed and produced by his father. He started acting in films as a child artiste in the late '40s. His best known performances as a child actor were in Aag (1948) and Awaara (1951), where he played the younger version of the character played by Raj Kapoor. He also worked as assistant director in the '50s. He made his debut as a leading man in the 1961 film Dharmputra and went on to appear in more than 116 films during '70s and until the mid '80s. A three-time national award winner, he was also honoured with Padma Bhushan in 2011 and received the prestigious Dada Saheb Phalke award in 2015.